Deciding which type of Individual Retirement Account is right for you requires careful deliberation. The primary consideration is whether a Traditional IRA or a Roth IRA will be most beneficial given your unique circumstances. While this decision should be made on a case-by-case basis, our comparison of Traditional IRAs and Roth IRAs may be a good place to start. Our infographic will also give you a quick overview of the advantages and disadvantages of Traditional IRAs vs. Roth IRAs. You might be looking at this information and still be uncertain which type of IRA is right for you. Once you’ve determined whether or not you are eligible for either a Traditional IRA or Roth IRA, it’s time to carefully examine the pros and cons of each. One of the most important considerations is which tax bracket you’re in currently, and whether you expect your future tax rates to be higher or lower than what you pay today. If your tax rate is relatively low currently, and you anticipate being in a higher tax bracket in the future, you may want to consider a Roth IRA. Since you cannot deduct Roth IRA contributions on your tax return, there is no current tax benefit to making the contribution. However, the money still grows tax-free within the Roth IRA, and you also are not required to pay taxes on withdrawals when you take the money out during retirement. As a result, the Roth IRA can be a great option to minimize the total amount of taxes you pay during your lifetime. In addition, if you anticipate overall tax rates will be higher in the future than they are today (due to budget deficits, national debt, etc. ), then the Roth IRA may also be a good fit for you. Roth IRA’s can also supplement your employer sponsored 401k/403b plan. The Roth IRA allows you to save additional money in a tax-efficient manner. Combining a Roth IRA with your Traditional employer-sponsored retirement account can provide greater flexibility when it comes to withdrawal options down the road. While there are many advantages to the Roth IRA, the primary drawback is that there is no tax deduction available for amounts contributed. If you anticipate your tax rate will be lower when you plan to make withdrawals than the tax rate you pay currently, a Traditional IRA might be the best option for you. This is because Traditional IRA contributions are tax deductible in the year the money is contributed, so you pay less taxes during the years your tax rate is expected to be highest. However, a significant disadvantage of Traditional IRAs is that you pay income tax on withdrawals from the account when you retire. If your tax rate is low, this may still be a good option for you, but remember this also means you will likely need to save more money in order to retire. For example, if your living expenses during retirement are $5,000 per month, with a Roth IRA, you would only need to withdraw $5,000 per month or $60,000 per year. With a Traditional IRA, you will need to pay taxes on each of these withdrawals, so you will actually need to withdraw more than $5,000 per month to cover the tax bill. Assuming a 25% federal tax rate, and a 5% state income tax rate, you would need to withdraw approximately $7,145 per month (or $85,740 per year) in order to maintain the same standard of living. Over time, this difference will deplete your savings more quickly, so you’ll need to either save more before you retire, or spend less during retirement, when compared to a Roth IRA. Ultimately, it is a case-by-case decision when it comes to determining whether a Traditional IRA or a Roth IRA is right for you. One of the best measures you can take to ensure you are confident in your choice is meeting with a financial advisor and/or a tax specialist. At James River Advisors, we are here to help guide you through all aspects of financial planning. Schedule an appointment with us today to discuss your retirement strategy. 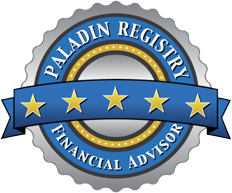 James River Advisory Inc., is a registered investment adviser. Information presented is for educational purposes only and does not intend to make an offer or solicitation for the sale or purchase of any specific securities, investments, or investment strategies. Investments involve risk and, unless otherwise stated, are not guaranteed. Be sure to first consult with a qualified financial adviser and/or tax professional before implementing any strategy discussed herein. Past performance is not indicative of future performance.